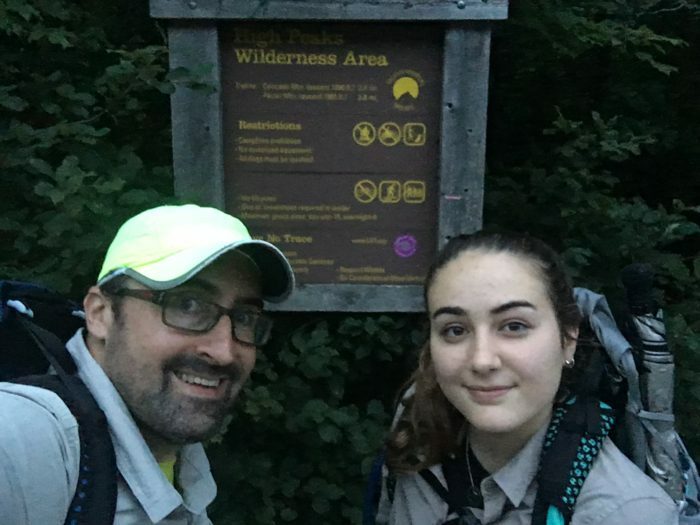 This past summer my teenage daughter and I embarked on attempting to hike the 46 Adirondack High Peaks. If we hike the 46 highest peaks in the 6.1-million acre Adirondack Park we can earn the title “46er.” Originally, measured at higher than 4,000 feet in elevation, there is a misconception that the 46 ADK High Peaks are the highest in the state of New York, which interestingly enough are not—with some peaks in the Catskills having greater elevation than some of the Adirondack High Peaks. What makes things more confusing is that later measurements have resulted in four peaks being just below the 4,000-foot threshold. Despite the contradictions and challenges of hiking all 46 peaks, I shared the notion with my 17-year-old daughter and she made it our imperative. We had 21 days at our disposal, and having done our homework, we were confident that we could accomplish the lot in one go. Having hiked a number of these high peaks in the past, I knew the terrain. And having completed an Appalachian Trail thru-hike the year before with her little brother, I was cocky. When Do You Follow Conventional Wisdom, and When Don’t You? To ease transportation and parking challenges, for which the Adirondack Park is notorious, I booked a campsite at the Adirondack Loj for the duration. The idea was to use the ADK Loj as a base of operations from which to sally forth for overnights and multiday excursions. 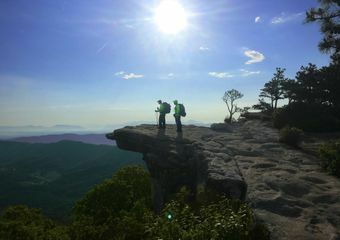 The lack of public transportation, private shuttle services, and volunteer trail angels in and around the park, combined with ever-constrictive parking prohibitions and trail access, make parking and transport nearly impossible for hikers and other outdoor enthusiasts looking to enjoy the park. All was in place when we learned of my daughter’s acceptance into a prestigious physics summer school program in London. Our 21-day trek was reduced to 11, including travel from London to the High Peaks and back to London in time for her program start. We shifted our thinking from several multiday hikes with possible zero days built in, to a thru-hike of the entire 46 High Peaks. The fact that similar hikes had been accomplished in recent years in as little as eight days gave us confidence that we may be able to meet our heightened goals. Common thinking is that as day hikes, the 46 could be accomplished with relative ease in 13 to 14 days. This gave us further cause for optimism, or rather hubris. We had planned our trip for the end of July into August. The black flies would be generally gone and the weather would be warm. The mud would be drier, and the fords and bogs would be passable and low. Other than the increased reports of “pesky” bears in and around the designated campsites, the conditions seemed favorable. Weather reports and accounts of hiking from earlier in the season were also promising. We were giddy. We flew into Boston, arriving at 8 p.m. We got our car and drove straight to the parking area for Cascade and Porter on Route 73 in Keene. My daughter slept most of the way, it being five hours later for our body clocks. I drove back and forth awhile, trying to determine which of the pull-offs was the correct one for the trailhead, before settling on one and pulling over. 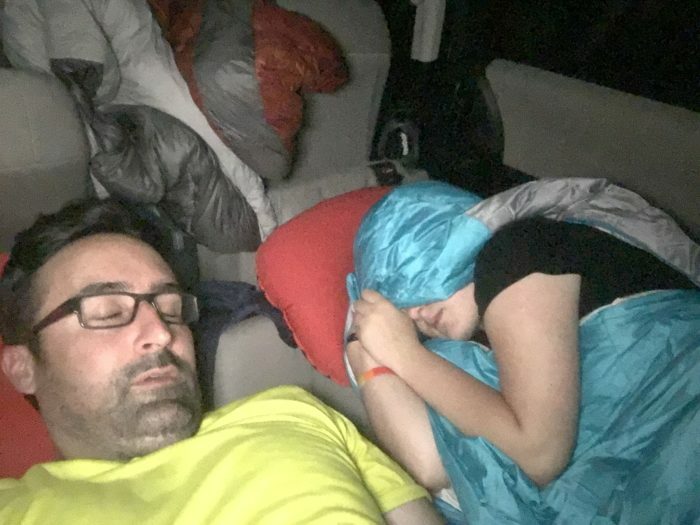 We slept in the car, not really sure whether that was allowed or not. We were up early, due to the jet lag, and started our hike to Cascade before the sun was up. As with most things, the worry and scheming and planning melted away with the hiking. We made it to the summit of Cascade just in time to glimpse the valley shrouded in cloud before we too were consumed. The rain started soon after. Flashbacks to the 100 days of rain on my AT thru-hike came flooding back. I wondered what hiking in the Northeast would be like without gray skies. Back in London, they were having a gorgeous summer with blue skies and record temperatures. In the Adirondacks, it rained for the length of our time there. The notorious muddy trails, the swelled fords and floating bridges, even some stubborn flies all returned to enliven our adventure. In all we hiked a total of 15 peaks in four days. Electrical storms, fatigue, and an early injury derailed our ambitious plan. On the other days, we did some non-peak hiking down in the low lands—which frankly doesn’t get enough attention, what with everybody peakbagging. We visited the local towns and scouted out the parking areas and trailheads for the outlying ranges and future trips. 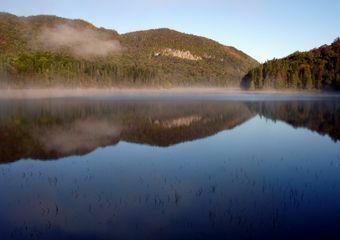 Hiking in the Adirondacks is quintessential northeastern alpine hiking. It is rocky and rooted and steep. The trails fall between well-marked and well-traveled to overgrown herd paths that merely suggest the way. 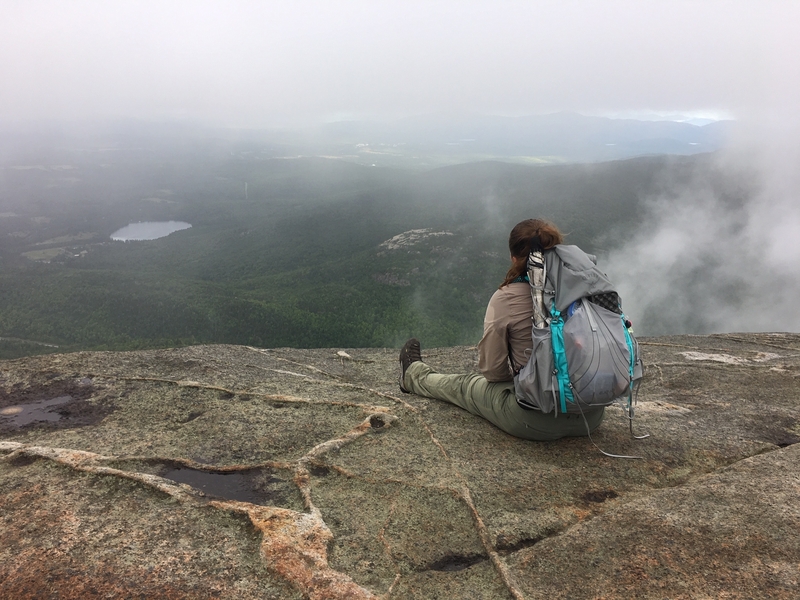 Getting lost is a part of the experience of hiking in the High Peaks—a reality that unnerved my daughter each time we got spun around. Yes, it happened more than once; every day, in fact. Stopping and referencing your GPS, guide, map, and compass will save you time and energy in the long run, even if they all contradict each other. Our first peak was a rewarding inspiration of granite and exposure down to the valley. Our second peak was a wet, overgrown, tree-shrouded patch of earth, which we missed several times, by a mile. As it goes, the rest of the High Peaks fall somewhere between the two. What I had forgotten about the Adirondacks, and was immediately reminded of in the first steps upon returning, is that hiking there is hard work. My daughter is resilient and strong and stubborn, but she agrees—not that this is going to stop us from meeting our goals. Each peak has its own challenge and to it a story attached. The experience of hiking with my daughter was unique and wholly different from thru-hiking with my son. The Adirondack High Peaks are unlike anywhere I have hiked in the world. They have had and continue to have a gravity to them from which I cannot escape. And now it seems my daughter is also feeling their pull.